Ski-Lifts offer a variety of airport transfer types from Geneva airport to ski resorts throughout France and Switzerland. Our Geneva airport shuttles offer you a cost effective way of getting from Geneva airport to popular resorts in the3-valleys, Espace Killy, Paradiski and also to Verbier. They differ from our shared transfers from Geneva airport, because they run to a timetable, meaning you must look at the description before you book to make sure there is one running at the correct time for your flight. Also, they will sometimes involve a change of vehicle at a hub location, before heading on to the resort. They will not be door-to-door, but will instead be to a convenient and central place within the resort. 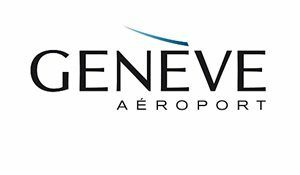 A Geneva airport shuttle provides you with a cost effective means of getting to the resort, you can also book online and receive an instant confirmation of your booking. For your return transfer we will text you the day before you depart confirming what time you need to be at the pick-up location. To find out if there is a Geneva airport shuttle to your resort, use the quote generator and select your chosen transfer. As well as Geneva airport shuttles, Ski-Lifts also provide private transfers, limousines and coach transfers from Geneva airport.